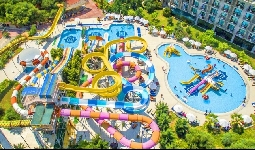 Nashira Resort Hotel & Aqua Spa is located in Antalya, Side-Titreyengöl region. 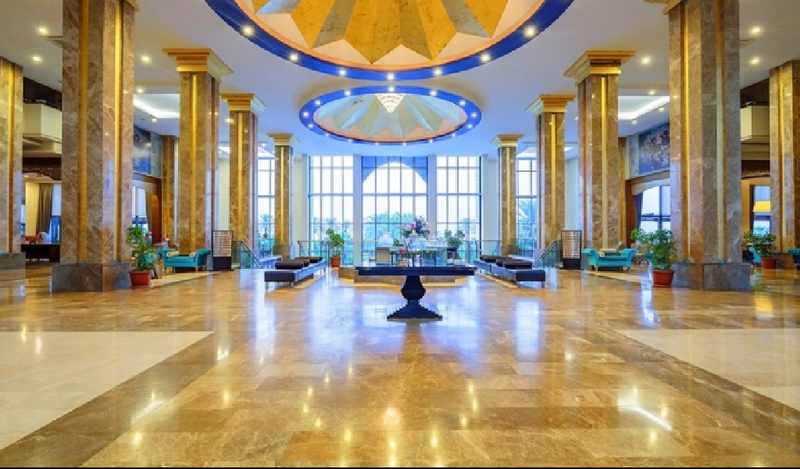 The facility is 75 km from Antalya Airport, 5 km from Side center and 4 km from Barlar Sokak. The hotel offers baby-sitter and baby car options with accommodation for your children. 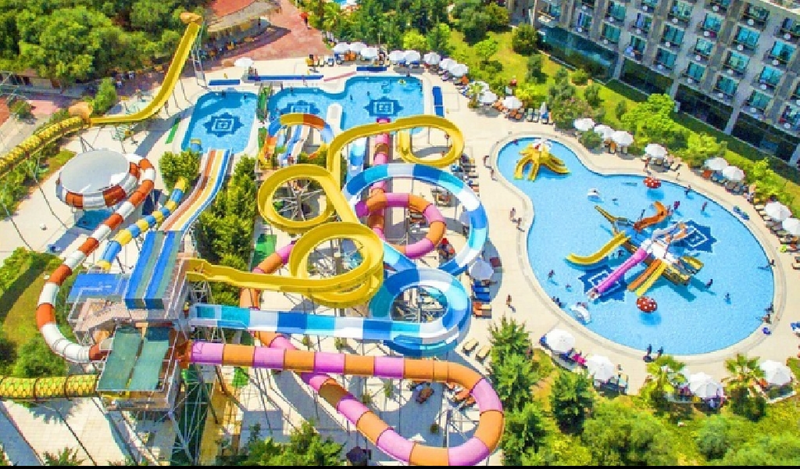 The 120.000 m2 built-in-area facility attracts attention with its ability to offer the most water slides in Turkey. Nashira Resort Hotel & Aqua Spa is located on the seafront. The resort has its own sand and pebble beach. You can enjoy pleasant days with 10 open, 1 indoor, jacuzzi and 8 children's pools. For those who love water sports, you can spend all day enjoying the activities of jet-ski, parachute, catamaran, canoe, windsurf, sea bike, banana, surfing activities. Everything is thought of for your comfort in the ultra-all-inclusive concept. 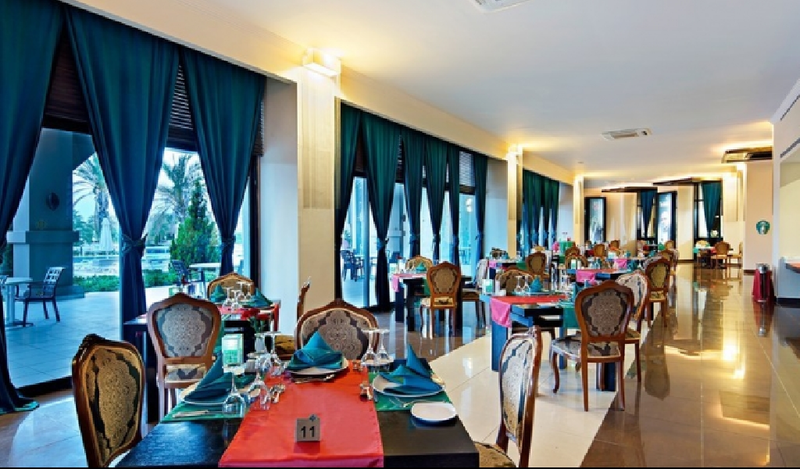 The facility offers services to its guests with 5 a la Carte and 1 outdoor restaurant. During your holiday you can evaluate your time with a variety of activities such as atari, computer games, beach football, billiard, boccia, beach volleyball, cycling, playstation, bowling, tennis, darts, electronic darts, karaoke, air hockey and table tennis. There are disco disco, animation, live music, cinema and amphitheater activities for those who want to have a pleasant time. Nashira Resort Hotel & Aqua Spa also offers mini club, children's animation and mini cinema activities for your children's enjoyment. The hotel offers fitness, pilates, aerobics, yoga, step, water gymnastics, skin care and beauty salon services. The facility has a nurse, car rental, shopping center, boutique, photographer, tattoos, souvenirs and doctor services. There are standard rooms with balcony, shower, safety deposit box, internet, TV, central air conditioning, mini bar, music broadcast, parquet floor, hair dryer and telephone. Distance to Beach: 0 m.
Distance to Antalya Airport: 75 km. Barlar Street Distance: 4 km. Manavgat Merkezine Distance: 4 km. Manavgat Bus Station Distance: 4 km.